I’m so over winter. Not that I was ever under it, you understand. The other day, I was reading a student’s poem, which was basically a praise of winter. It was a really nice poem, and I enjoyed it. At the same time, there was a voice inside me saying, “You’ve gotta be kidding me.” I mean, she didn’t mention anything about the pain of winter. Yes, I said pain. Cold hurts. And I don’t even feel like eating ice cream, which is just wrong. All I want to do is curl up under a blanket and eat lots of crumb cake. 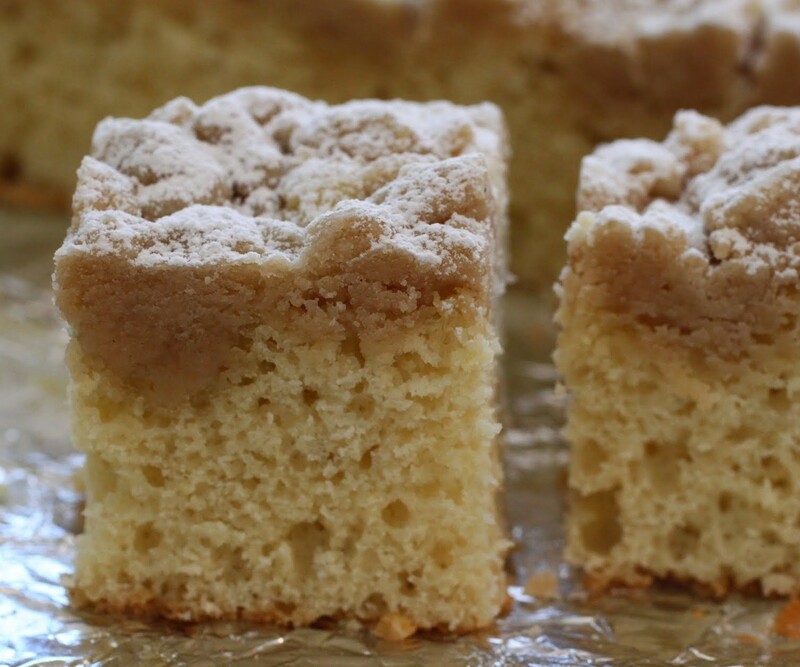 A world without crumb cake would be a terrible place. It’s one of those sneaky desserts that’s actually more addictive than chocolate. I’ve never met a soul that doesn’t love crumb cake. That said, it’s extremely unhealthy. 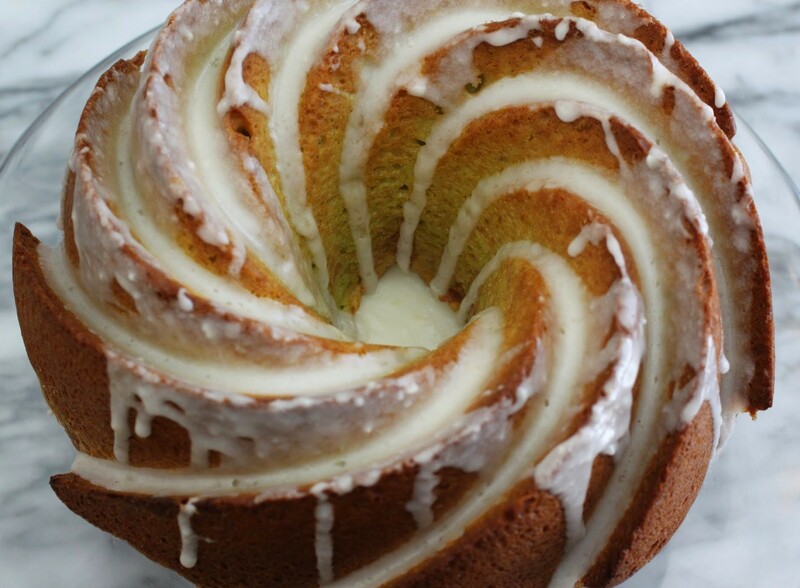 Sometimes, up to a pound of butter makes its way into the cake. The base has a bunch of butter, and then you need a bunch more to make those amazing crumbs that get piled on top. And there are times when I’m all ready to bring on the crumb! But not right now. As much as I hate the crazy push to suddenly be healthy in January, I do respect other people’s resolutions to a certain degree. I mean, who am I to turn my nose up at someone trying to get healthy? So with that in mind, I created a lighter version of the typical crumb cake, and it turned out nicely! Instead of butter in the cake base, I used canola oil. And as much as I love a cake that’s more crumb than cake, I held back and halved the amount of crumb that usually goes on top. It’s still deliciously rich, but there’s a lot less of it. And the cake itself is not tremendously sweet, so it works really well for breakfast. Even though winter is a total drag, curling up under blankets with dessert is one of the saving graces of colder weather. Don’t let your resolutions get in the way of the simper pleasures. Just lighten it up! Preheat the oven to 350. Line an 8 x 8 square pan with foil, leaving enough to hang over the sides. Coat with cooking spray. Set aside. In one bowl, sift together the dry ingredients. Set aside. In a large bowl, whisk together the oil, eggs, milk, and vanilla. Stir in the dry ingredients. The batter will be thick, almost like dough. Spread the batter evenly into the prepared pan and set aside. Rinse out your smaller bowl. To make the crumb topping, combine the brown sugar, cinnamon and flour. Stir in the melted butter, mixing with your hands until crumbs form. Sprinkle the crumbs over the batter. Bake for 30-35 minutes until the crumbs turn golden at the edges and the cake is done. Cool. Cut into squares and serve. You know how much I love peanut butter by now, right? Because I really, really, reallyreally need that fix every day. Preferably in some kind of peanut butter cup, but I’ll take the stuff straight up as well. Stirred, not shaken. With a spoon! Years ago, I was part of a tour group in a foreign country. We stopped in a grocery store, and there on the shelf was a jar of Peter Pan, imported and outrageously marked up in price. I bought it immediately and without any hesitation, despite the fact that everyone in my group was mocking me for spending so much on a jar of peanut butter. Well, folks, the laugh was on them. I sat on the tour bus, opened the jar, inhaled the sweet aroma and looked up, only to realize that the entire bus was eyeing my Peter Pan with what can only be described as mad lust. And for the rest of the trip, people kept asking if they could have a taste. They missed it so much, you see, and I was the smart one. I was also nice and shared, but not after a whole lotta “I told you so” lectures. My birthday cake is kind of a problem every year. You see, I am the family cake baker. So when it comes time for someone to provide a cake for me, there’s usually a debacle of some kind. This year was no different. My husband tried really hard to get my favorite Baskin Robbins cake, but they now have some non-functioning system where you can only order a cake online, except it doesn’t work. He tried everything. Calling, going in, ordering online. Nobody would let him get a friggin’ cake. So I wound up baking my own. But that’s okay, because then I know it’s perfect! I know tomorrow is Pi Day, thus pies are being posted right and left. But kids, I couldn’t wait to share this one. I’ll share a pie next week sometime. We cool? Do you remember the red pistachios? Do they still exist? I loved those things. They got red dye all over my hands, but I always thought they tasted better than the regular kind. My grandparents always kept them around for me. And then one day, they disappeared. I haven’t seen a red pistachio since. Things have a habit of disappearing, unfortunately. There’s a great poem by Elizabeth Bishop called “One Art” where she talks about what she calls “the art of losing.” It’s a great poem, and my English teacher self highly recommends it to you. But I sometimes get creeped out by how much I’ve lost without even realizing it until after the fact. What I would do for a slice of this cake right now! Looks delicious. I am ready for winter to be over too. I want cocktails on the beach! Cocktails on the beach sounds perfect, Dannii! I’m so over winter, too. I can’t handle these negative and single digit temps in my area! But I think this crumb cake would help me feel just a little bit better. Looks delicious, especially with that topping! Thanks, Gayle! I’m glad I’m not alone with the winter bashing. I pretty much can’t handle the next 2 months. Loving these photos! 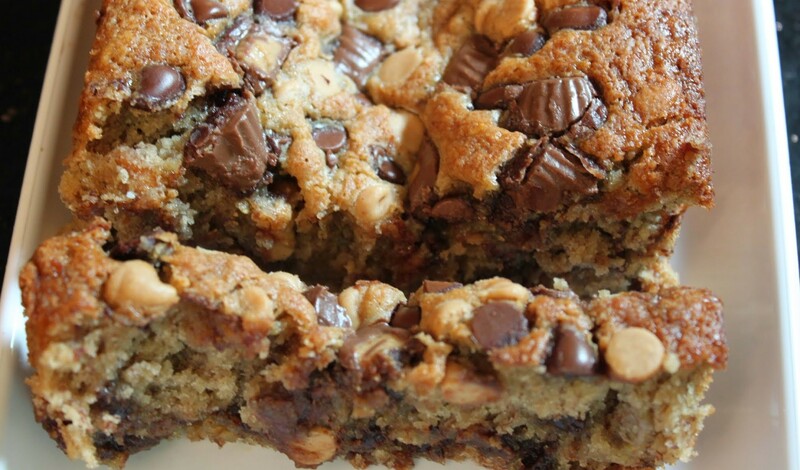 I feel like I can count every last crumb…and I want them all – right now! Looks delicious – no better way to beat the cold, I say! 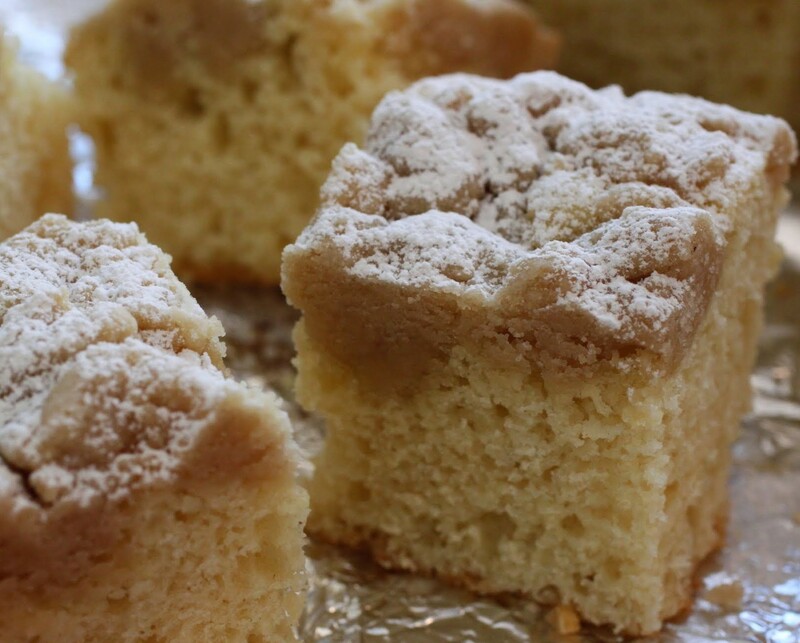 This lighter crumb cake looks delicious! Love the pics! Cannot wait to try this out soon! Thanks, Jess! I can never resist crumb cake! 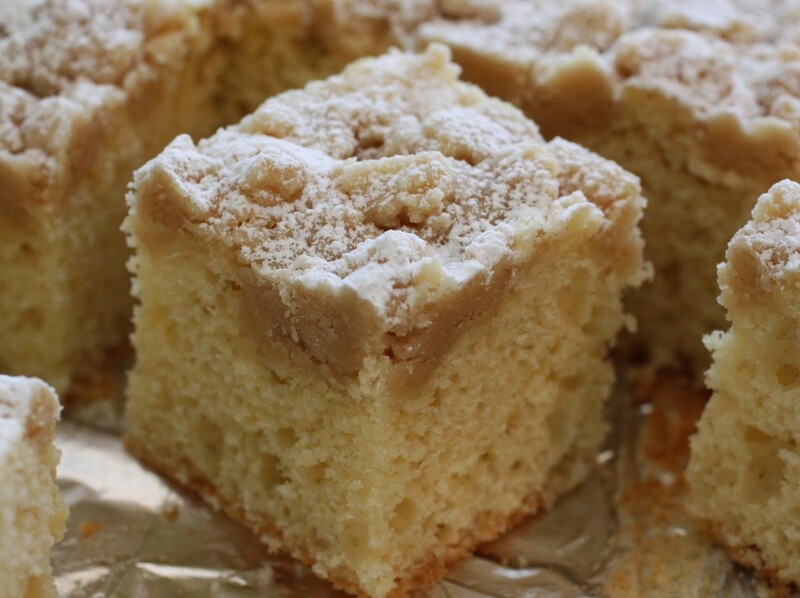 I am loving the sound of your lightened up version of crumb cake – which looks absolutely mouthwatering btw! Thanks so much! No reason not to have what we like! Good luck on your exams, Medha! I’m giving exams this week. Funny! I am SOOOO over winter too!! But I LOVE this crumb cake. I would absolutely gobble up the whole pan! Thanks, Renee! Cake make winter semi-bearable. Otherwise, ick. I hate the cold (and here, it’s not COLD like it is where you are, so I bet I’d change my tune) but I hate summer here. 100 every day, yuck. I wish it would stay fall or spring forever. 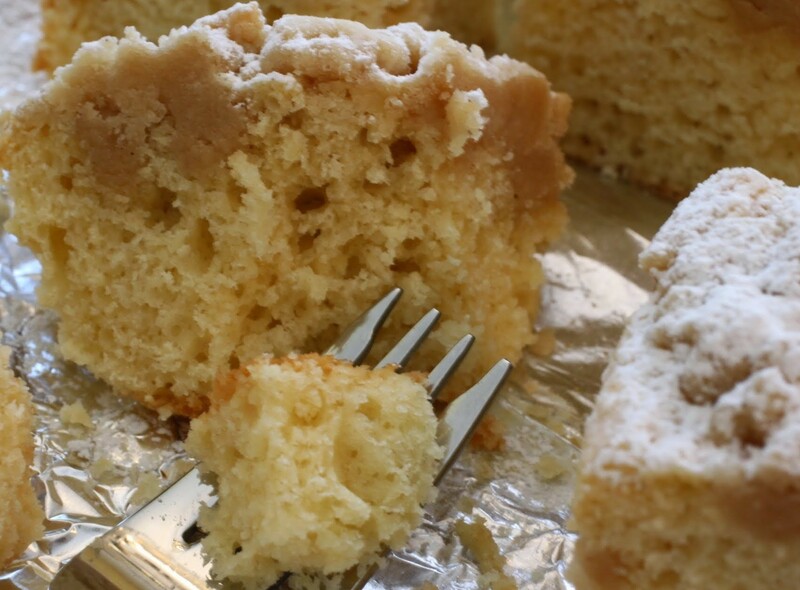 Love this – crumb cake is the BEST. We seriously need to swap climates, Dorothy. 100 sounds perfect to me! Thanks so much, Mira! I’ve worked very hard on my crumb. I take it way too seriously! Skating sounds fun, Stacey! Ooh, or snowshoeing. But not without cake! *joins Mir in winter bashing* Hate Winters! Anyway this cake definitely make it better….I love that crumb..so yum! I’m so over the winter too, Mir! Luckily for us we haven’t had any snow yet. 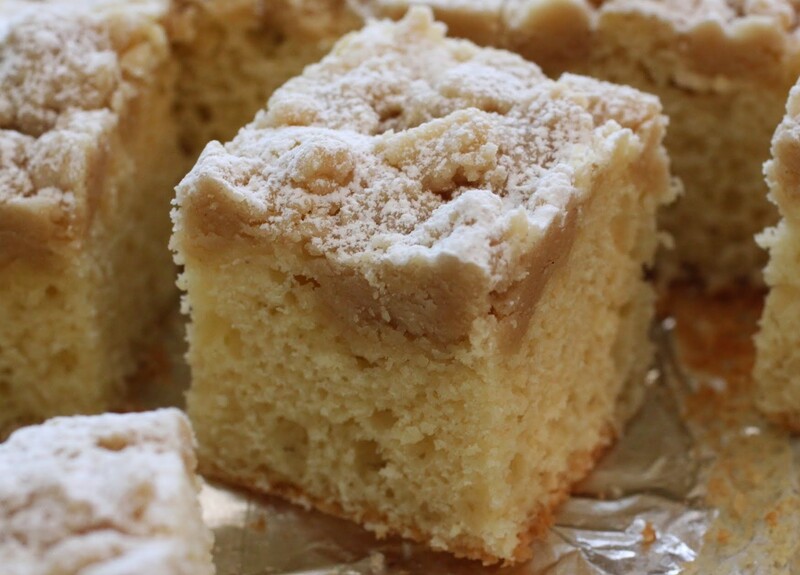 I love this crumb cake, it looks so soft and light. 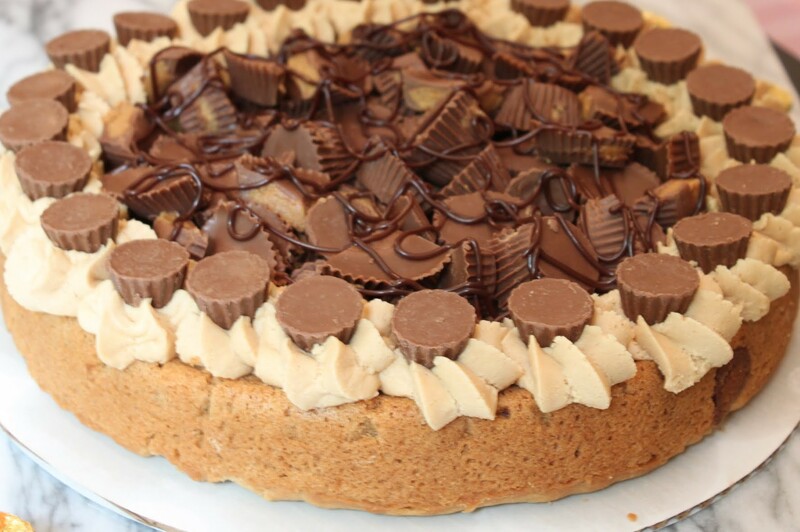 I could eat a slice of this right now! Wow, that is lucky. We keep getting snow and ice, just enough to be annoying. Thanks, Danielle! Of course, Aimee! You wouldn’t be you unless you had your cake with coffee!